I'll Fly Away is a great Gospel tune made famous most recently in the motion picture O Brother Where Art Thou. 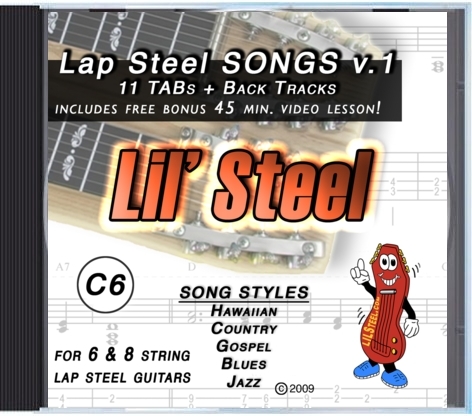 But it's also one of the new TABs and Back Tracks from Lil Steel Volume 1--which features 11 tunes for C6 lap steel guitar from Hawaiian, Country, Gospel, Blues and Jazz genres. Originally commissioned by a member of the Steel Guitar Forum, I'll Fly Awayis a great improv vehicle, a fun warmup piece, and a classic song. Players of all levels can enjoy the melody and TAB arragements found below. 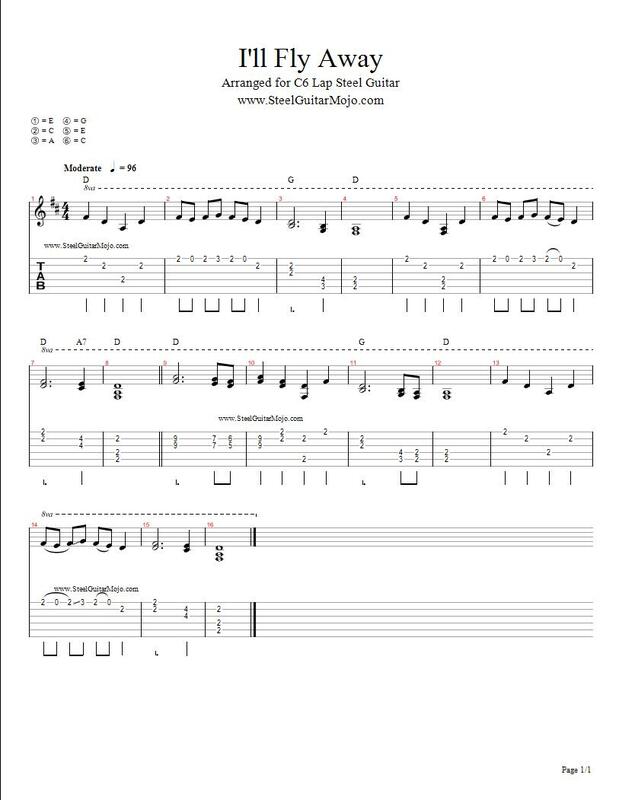 Feel free to save the TAB to your computer, print it, and jam to the original backing tracks also offered below. Short sample of just backing track, featuring all real instruments and drum sounds HERE. This is the very track from Lil Steel V.1.